Hello everyone! I am so excited for my 4th year at Tritt Elementary! I have been teaching science education for the last 13 years, but Tritt was the first time I had my own classroom! Prior to this I worked with Clean Air Campaign where I developed and implemented STEM-focused project based learning curriculum. 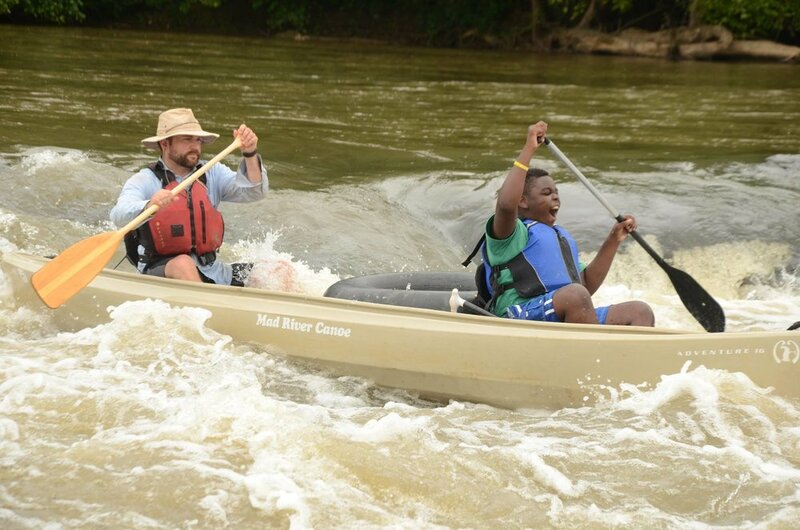 Before that I was the Outreach Coordinator at the Chattahoochee Nature Center, and I still handle animals and lead canoe trips for them. I went to Stetson University (same as Mrs. Pascual), and have a lot of family in Florida, but I grew up in Newnan, GA. When I’m not working I like to hike with my pound puppies, mountain bike or paddle with friends, read a good book with a cup of coffee, and enjoy all kinds of sports (especially baseball - Braves season ticket holder!) and art (especially theater - Red Door Playhouse!). My favorite subjects are space and the environment - I just love that I have all of these questions that need answering. I hope to instill a sense of wonder in your student’s mind as well.